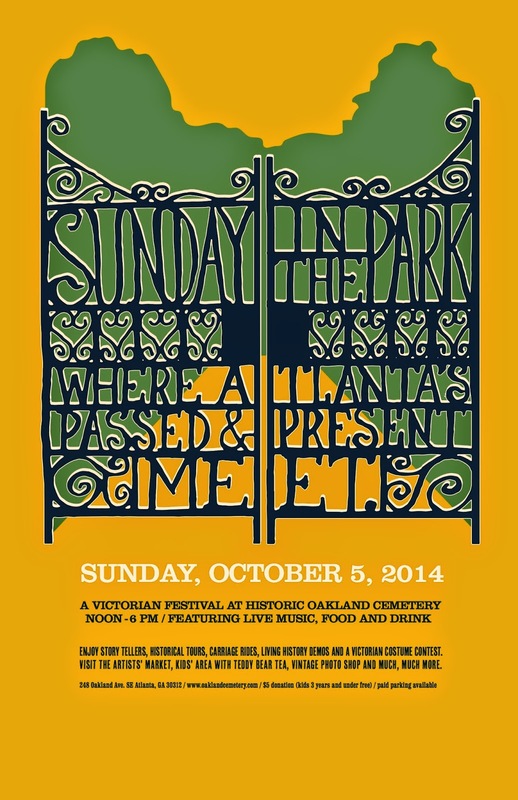 ATLANTA — On Sunday, Oct. 5, Atlanta’s “passed” and present will meet at historic Oakland Cemetery at Sunday In the Park. Celebrating 35 years as one of the city’s most unique fall festivals, Sunday In the Park features an afternoon full of music, art, food, dancing and more. From noon to 6 p.m., Atlanta’s oldest cemetery will host thousands of locals and visitors, as well as food trucks from Palookaville, The Varsity, Six Feet Under, WOW!, Mighty Meatballs and Al A Carte Frozen Bananas. More than 10 musical acts will perform throughout the day, alongside dancers, storytellers, and actors. In keeping with historic Oakland Cemetery’s Victorian aesthetic, attendees are invited to get into the spirit of Sunday In the Park by dressing in period clothing. A Victorian costume contest will determine the best dressed in both traditional and steampunk categories. The street festival also features a photo exhibition and contest, with first-place winners receiving a $100 gift card to Ruth’s Chris Steak House. All proceeds from Sunday In the Park benefit Historic Oakland Foundation, the organization that maintains stewardship of Oakland Cemetery in partnership with the City of Atlanta. For full details on Sunday In the Park, visit www.oaklandcemetery.com.